Nerve Pain in Calf: Is Nerve Tension Causing Your Hamstring or Calf Pain? Is Nerve Tension Causing Your Hamstring or Calf Pain? Pain at the back of the lower leg, most commonly referred to as the calf, is mostly caused by muscle cramps or muscle strain. However, some other factors can cause calf pain and leg pain in general. Usually, when there is a sudden pain in your calf, you might feel a tear, a pop, or snapping. Common symptoms that you may experience when you have calf pain, includes dull aches to sharp stabbing pains, swelling, fluid retention, stiffness and weakness around calf, redness, and difficulty in standing on your toes. The main cause of neurogenic claudication is spinal stenosis. This rear disorder also known as pseudoclaudication, occurs when the nerve fibers that innervate the legs are compressed, irritated, or“pinched.” This compression causes the affected nerves to lose their nerve signaling capabilities to the lower limb. It usually occurs in the spinal column. Even while resting, the inflamed nerves proliferating from the spinal cord can still get inflamed. Compartment syndrome is a life-threatening condition that occurs as a result of intense pressure in muscle cells. This pressure buildup causes a reduction in blood flow which reduces the amount of oxygen and nutrients supply to muscle cells and the nerves. The debilitating condition can either be acute or chronic. Acute compartment syndrome is usually fatal. It is mostly caused by severe trauma and can lead to irreversible muscle damage if left untreated. Exertion compartment syndrome or chronic compartment syndrome, as it is fondly called, is as a result of athletic exertion. The most frequently occurring neuropathy is nerve damage resulting from diabetes. 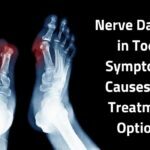 This type of nerve dysfunction affects the upper and lower extremities. 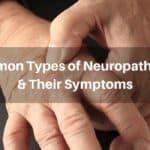 Diabetic neuropathy is a complication of diabetes which occurs as a result of inflammation of the nerves, exposure to high blood glucose and some hereditary factors. ​Sciatica can be easily reversed; however, late intervention can cause permanent damage to the nerve. The nerves of the body cross quite a number of joints in the body, these nerve fibers either slide or curve around the joints. At other times, they elongate and handle compression when there is movement in the body. Compression of these nerves sometimes leads to the restriction of blood flow. Athletes and runners often complain about excruciating pain in their hamstrings or calves that never ever leaves. Often, most individuals usually feel nerve pain involves only “pins and needles,” numbness, or a painful feeling. Pain in the nerve usually called neural tension can imitate an ache in the muscle. At low levels, this tension causes stress and when the intensity of the tension of the nerves increases, it can cause damage. Sensitization of nerves to stress in some circumstances, like the existence of an inflammation, causes intense pain and discomfort. When the movement of nerves is compromised, the tissues and muscles innervated by these nerves usually bear the brunt the impact. Nerve tension can be as a result of poor sitting or standing posture. Adverse neural tension, as it is commonly known as, can be caused by trauma to the soft tissues of the leg. If there is tear or strain on your hamstring, it might be due to neural tension. This condition can literally get on your nerves. One of the ways to know if the pain in your hamstring or calf is caused by neural tension is via a process called structural differentiation. This procedure involves using some form of mobility to cause a certain level of pain, then moving the joint closest to the injured area away from the location of the pain. This is done to ease tension on the nerves in the affected region and see if the symptoms are reduced. Most cases of nerve pain in the calf can be eased through at-home treatments while other cases might require medical intervention. ​Rest – Adequate rest and sleep are very important for recovery. ​Ice – Apply an ice-pack to the affected area every 10 minutes to ease the pain. 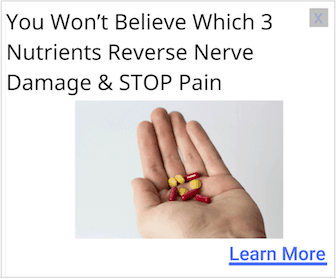 Over-The-Counter Medications – Non-Steroidal Anti-Inflammatory drugs like Ibuprofen help to reduce the pain caused by damaged nerves in the calves. Stretching – Stretching not only helps to heal nerve pain but it also helps to prevent it. Try to stretch your calf from time to time to ensure that it stays healthy. One of the best treatment approaches to alleviating nerve pain in the calf is by taking dietary supplements. 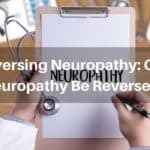 Dietary supplements like Nerve Renew helps to reverse nerve damage while easing symptoms like pain and tingling which are associated with neuropathy. 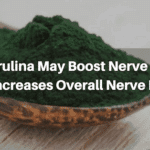 Thanks to their superior ingredients—Methylcobalamin, stabilized R-Alpha lipoic acid, and Benfotiamine—it has been proven to fight neuropathy. It is also intriguing to know that this top-quality product is easily absorbed by the body and does not cause any adverse side effects. 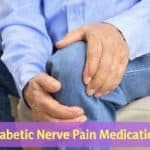 What Diabetic Nerve Pain Medication Work Best in 2018?